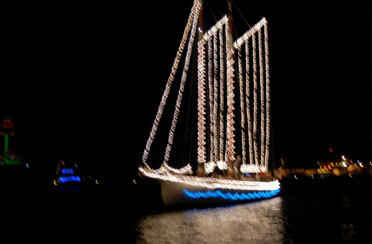 A must do while on vacation is some Key West Sailing! 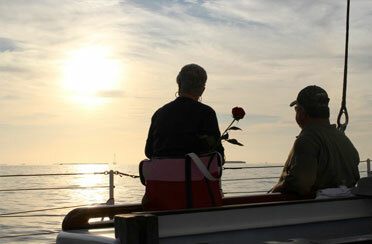 Join us with our professional crew and take to the waters of Key West. Let our crew dazzle you with their skills of sailing our yacht and taking care of you with the up most hospitality. Sailing is fun, but sailing and sightseeing is the most magical way to experience this Island of wonder. 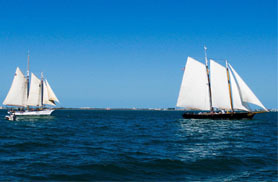 Enjoy a Key West Sunset Sail or sail past Mallory Square, and cruise by Fort Zachary Taylor. Allow the dolphins to take your breath away as they surf the bow of our boat on our Key West Day Sail. 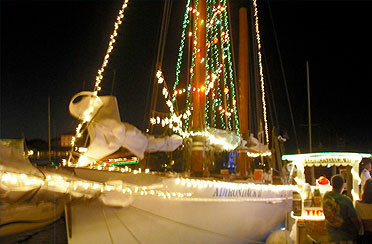 You will truly enjoy the excitement and art of Key West sailing. 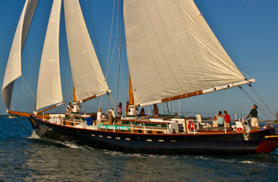 While sailing aboard the 105 foot Schooner America 2.0 you will experience the most premium sailing. This stunning classic boat was designed for comfort and speed. 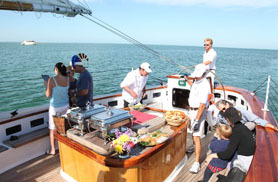 So snap some photos and sip on Champagne as you cut through the emerald green waters of Key West. It is true! When in Key West you must soak in the sun while you do some classic Key West day sailing. 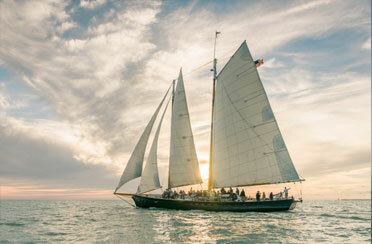 We think the best way to spend an afternoon is to take to the water on the Schooner America 2.0 for a Key West Day Sail! Named after the first boat to win the America’s Cup in 1851. 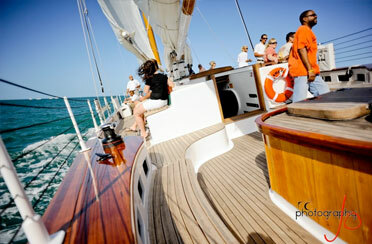 Our stunning 105-foot sailboat features teak decks, mahogany trimmings, and ample seating. 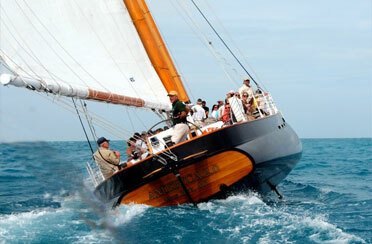 There is over 3,600 square feet of sail that will propel you smoothly through the crystal green waters of Key West. 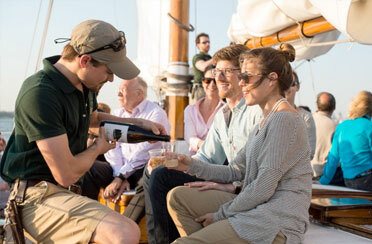 Our 1.5-hour Classic Key West Day Sail features complimentary beer, wine, champagne and soft drinks. We have Bloody Marys that are for purchase (credit card only)! Also, a small hors d’oeurves plate is provided, but guests are encouraged to bring aboard their own picnic lunch.